Tim founded Altacrest Capital to focus on investing in middle market companies. At Altacrest, he is responsible for overseeing the firm’s investment, operational and fund-raising activities. Prior to Altacrest, Tim spent 15 years at Prudential Capital Group, the private investment arm of Prudential Financial. Based in the Dallas PCG office, he led originations, underwriting and portfolio management focused across various states in the Southwest and Midwest. He invested $2.9 billion across various industries completing more than 50 transactions involving debt and/or equity. Prior to Prudential Capital, Tim spent three years as a management consultant for PwC. He began his career in the audit practice of Ernst & Young. Tim holds a Bachelor of Science and Business Administration in Accounting and a Master in Business Administration in Finance both from Washington University in St. Louis. Tim has been married for 20 years and has three boys. In his spare time, Tim watches his son’s athletic events and enjoys golf, tennis and running. He is active in the community, serving on the board of the Exchange Club of East Dallas and the Washington University Eliot Society Committee for Dallas. Rick sources opportunities and oversees investment evaluation, both from a financial and operational point of view. 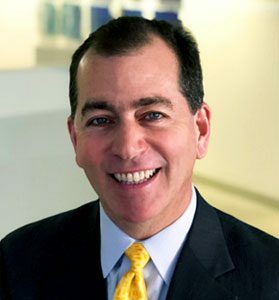 Prior to Altacrest, Rick spent 14 years in JPMorgan’s investment banking unit, focused on mergers and acquisitions and the consumer retail industry, and advised on $10 billion worth of M&A transactions and $18 billion of capital raises. For the last 7 years, Rick has operated two businesses as CEO and COO: a closely held business to business service company, and a private equity backed consumer product company, where he was responsible for strategy, marketing, sales, product development, and an international supply chain. Rick holds a Bachelor of Arts Degree from the University of Virginia, and a Master of Science Degree from Georgetown’s School of Foreign Service. Rick has been married for twenty years and has two children. Brien joined Altacrest to focus on his passion for growing and developing middle market companies. At Altacrest, Brien is responsible for deal origination and evaluation, fundraising, and management of the firm. Brien focuses his efforts at Altacrest on companies within the Business Services sector. Prior to joining Altacrest, Brien spent 14 years with Prudential Capital Group, the private investment arm of Prudential Financial. While at Prudential Capital, Brien was responsible for originating, evaluating and monitoring private debt and equity investments. Capital was provided to facilitate acquisitions, growth capital, recapitalizations and leveraged buy-outs. 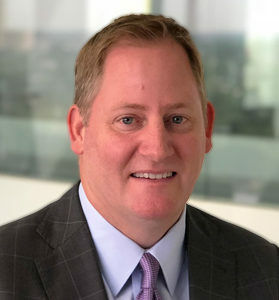 Before joining Prudential Capital, Brien spent five years in middle market investment banking at Hoak Breedlove Wesneski focused on M&A and capital raising assignments for companies within the Southwest. Brien began his career at Willamette Management Associates, a national business valuation firm focused on the middle market. Throughout his career Brien has executed over 70 transactions aggregating $1.9 billion in equity and debt private placements as well as over $1.4 billion in merger, acquisition and financial advisory services. 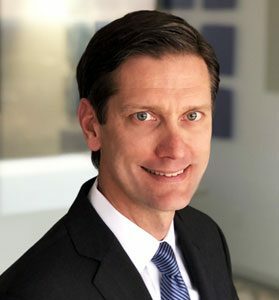 Brien has served as a board observer for several portfolio companies including VLS Recovery Services, LLC, MooreCo, Inc., and Little Woodrow’s, LLC. Brien holds a B.B.A. in Finance from Texas Tech University where he was a University Scholar and an MBA from the McCombs School of Business at the University of Texas at Austin where he received Dean’s Honors. He also holds the designation of Chartered Financial Analyst. Brien has been married for over 13 years and has two daughters. When he is not at the office or with his family, Brien enjoys travel and a wide variety of sports.